This post features the top most commonly used crochet abbreviations found in patterns and will quickly become your favorite go-to reference guide for all of your future projects! Hello and welcome back to my blog! Before we get on to chatting about crochet, I’ll give a little update on myself – I am trying [really hard!] to be healthier. [Aren’t we all!?] Today was my first day starting on a new healthy lifestyle and fitness plan. The plan is by Katie Dunlop of Love Sweat Fitness, and I am super excited to start! I have followed her on YouTube for a while and find her really inspiring so I wanted to give her methods a try. Most Commonly Used Crochet Abbreviations – Free Printable! Now on to the main event – crochet! 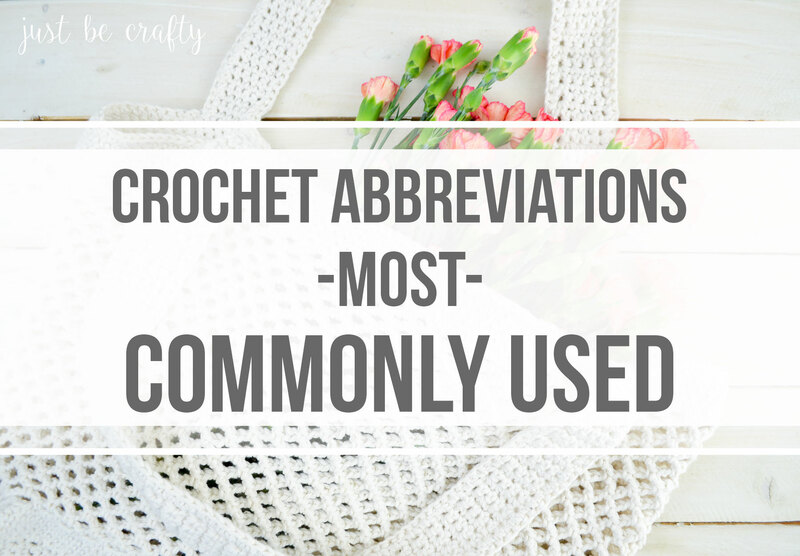 Today I am sharing with you a brand new printable that compiles the top most commonly used abbreviations that I’ve come across in crochet patterns. It is a comprehensive list of crochet abbreviations that I use in my original pattern designs as well as those I have most commonly seen used in patterns by other designers as well. This printable can be downloaded and prints out in a full size 8.5 by 11 inch sheet of paper and features large and easy to read format! No squinting necessary – all the information you need is easy to see and fits on one page. Did I mention this printable is completely FREE? 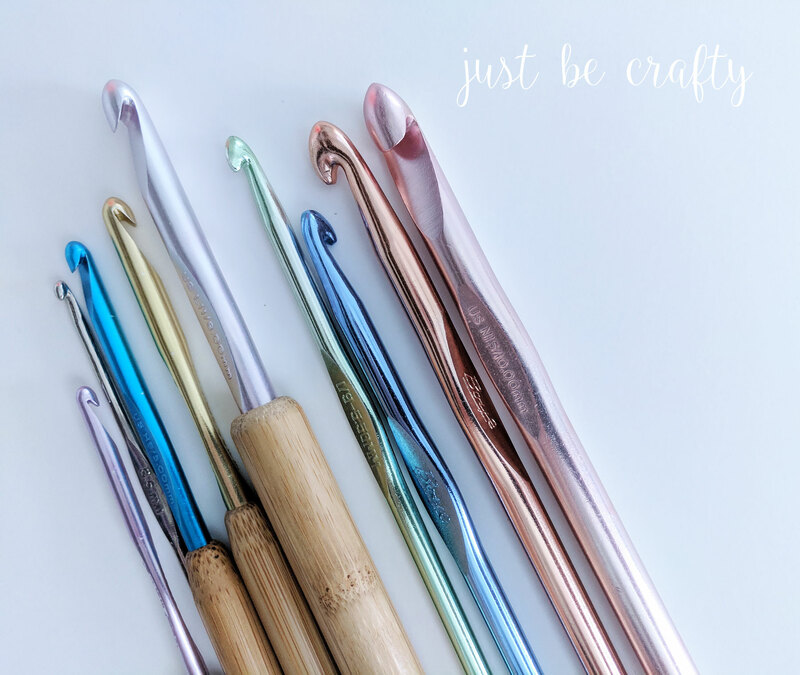 This printable will be helpful for both newbie and seasoned crocheters alike while working on any Just Be Crafty crochet pattern. To access your free download simply click on the link below and download to your computer. Once the printable has downloaded, save to your desired computer file, or select print. How do I use this printable? I have planned for this printable to be your go-to reference guide for all of your crochet projects. I suggest either downloading to your phone, tablet, or computer OR printing it out and storing in your crochet stash basket! If you print it out, it might be beneficial to put in a plastic page protector or laminating to keep it durable and safe from tears and creases. You’ll always want to have this handy! The next time you’re tackling a pattern and are unsure of what an abbreviation means, whip this out for reference! All abbreviations are listed in US terms. Please note that this list does not include ALL crochet abbreviations out there but it is a comprehensive list of abbreviations used in my original pattern designs and often times used in patterns from other designers. You will also want to note that you should always pay attention to the abbreviations list/notes section in any pattern you are working on as they often have special directions that are applicable to only that particular pattern. This printable is simply a convenient companion to your projects as you crochet.